Boston has some great things to offer, and if you’re considering buying real estate there you have a lot of choices to consider. For example, homes for sale in Boston can be purchased in a lot of different price ranges, and if you’re not quite ready to buy yet there are apartments for rent in Boston that you can enjoy while you learn your way around the city. As a matter of fact, that’s one of the best things about the Boston area. It’s a big city where you can find everything you need, but it has a cozy, comfortable, small town feel you can really appreciate. Here are some other great reasons to buy Boston real estate. Whether you’re focused on Boston luxury apartments or you’re more interested in homes for sale in Boston and the surrounding area, location definitely matters. Fortunately, a lot of the places you’ll find to rent or buy are in areas where there are stores and entertainment venues close by. You don’t need to drive if you don’t want to, because Boston is an extremely accessible city. There are plenty of public transit options, from buses to the T, so you can get around easily and jump from place to place and neighborhood to neighborhood with ease. Whether you want to shop and have a good meal, you’re looking for entertainment, or you have business to attend to, being able to have options to get there makes for a convenient lifestyle. Being on the East Coast, Boston has been around for a long time. It’s steeped in the history of this country, and it offers so much to residents and tourists alike. 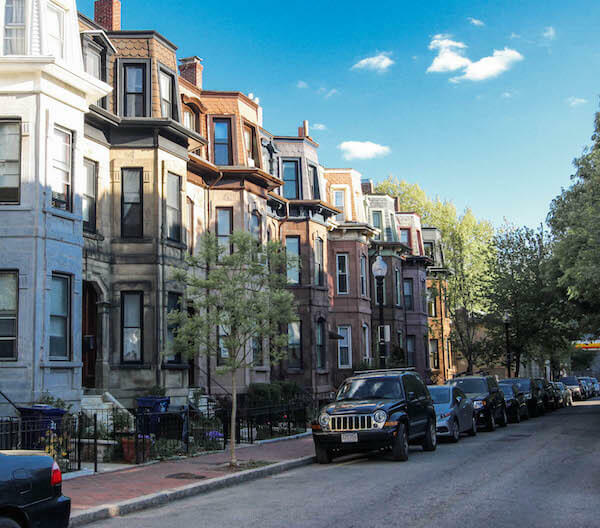 Boston real estate offers new construction, but there are also many older buildings that have been preserved for current and future generations to enjoy. Some of these are for sale or have been turned into apartments, and others are being used by businesses that love having that older look and feel. For those who are interested in learning more about history, Boston is an excellent place to live. It offers so much in the way of historical buildings and locations that there’s always something to discover. That can be great for anyone who wants to explore the past and see how it’s shaping, affecting, and changing the future. Whether you want to go to a backyard barbecue or you’d like to spend an upscale evening at the symphony, there’s plenty to do in Boston. It’s a haven for art and culture, with galleries, museums, and much more. But there are also plenty of casual things to do in the city and its surrounding areas, so you won’t be at a loss no matter what kinds of preferences you have. You’re sure to meet like-minded people who enjoy the same kinds of activities, and you can attend events for causes and occasions that are important to you, as well. With all of that going on, it’s easy to see why so many people appreciate the area, and why they want to find Boston apartments or homes that would be a great fit for a long, happy life in their chosen city. When you want Boston rentals or homes and apartments for sale that meet your needs, you can find all types of different options to choose from. Your budget and exactly what type of accommodations you want both matter, but there’s something for everyone in this great city.